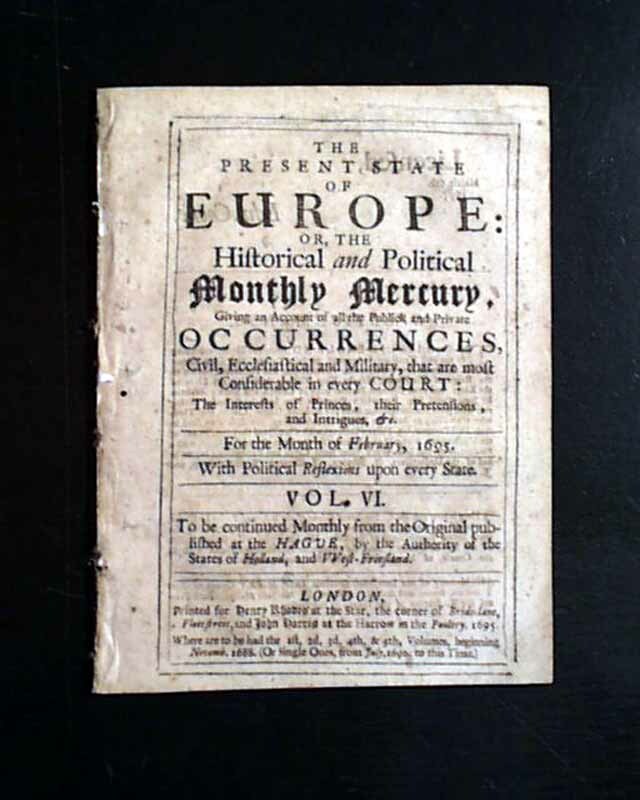 Item # 653942 THE PRESENT STATE OF EUROPE OR THE HISTORICAL & POLITICAL MONTHLY MERCURY, London, England, February, 1695 This is a very uncommon periodical published during the reign of King William III, formatted something like a pamphlet but definitely a periodical, with the more extended title reading: "... 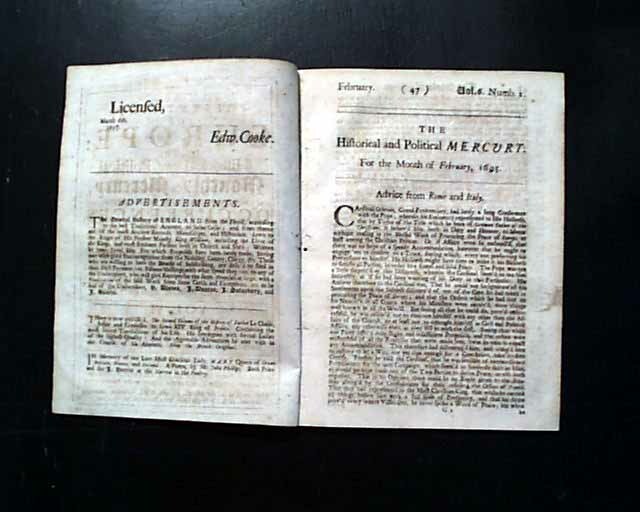 Giving an Account of all the Publick and Private Occurrences, Civil, Ecclesiastical, and Military, that are most considerable in every Court: The Interest of Princes, their Pretensions, and Intrigues, etc.". 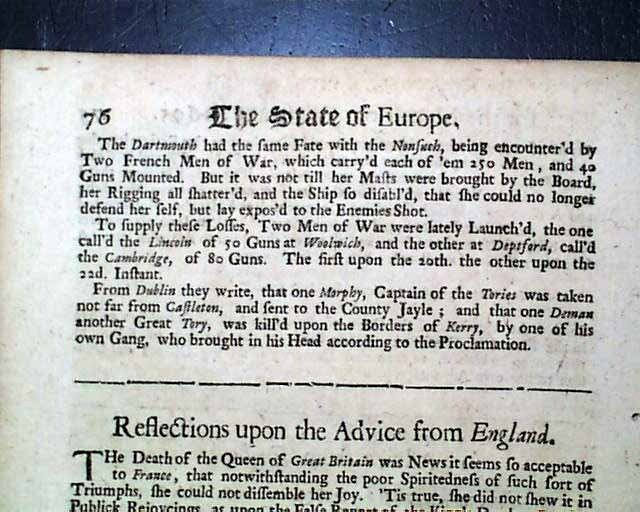 Much of this issue is concerned with the political & military affairs of Europe & is organized into news by country or region with commentary on the events. 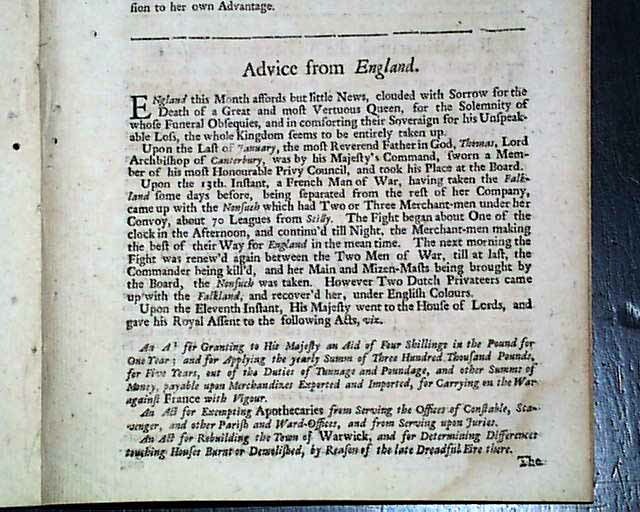 Included is "Advice From England" which begins reflecting upon the death of Queen Mary: "England this month affords but little news, clouded with sorrow for the death of a great and most vertuous Queen, for the solemnity of whose funeral obsequies & in comforting their soveraign for his unspeakable loss, the whole kingdom seems to be entirely taken up...". 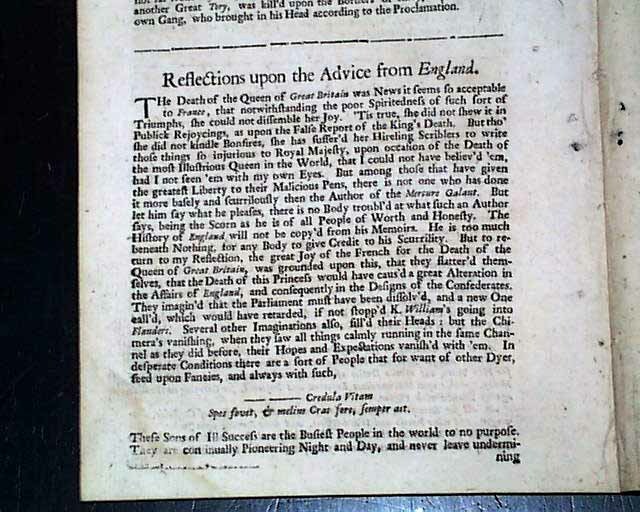 This is followed by: "Reflections Upon the Advice from England" which is mostly taken up with commentary on the news of the death of Queen Mary in France.